PLEASE NOTE PRICE ADVERTISED IS FOR A 1/3 SHARE. Only one share remaining. 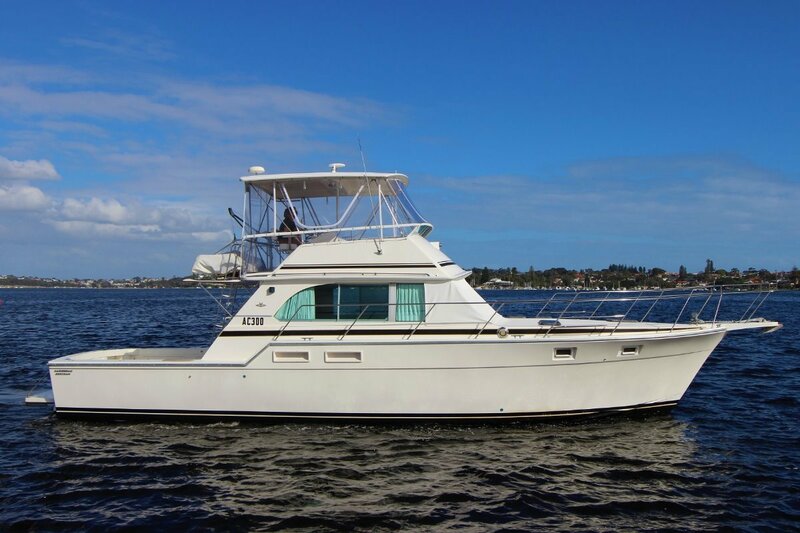 Awesome boat that has been meticulously maintained from new and comes with all the original delivery documents. The insurance survey has been completed for another 5 years. Ticks all the boxes: Caribbean, diesel, shaft drive, flybridge and the biggest back deck that your mates will be jealous of. She holds 2700L of fuel and 1900L of water, making her an ideal vessel for long stays at the islands without the need for a water maker. There is plenty of space for friends or larger families with sleeping for up to 10 people. Ideal pen location in North Fremantle completes the package.